Students cut out and record informational text features from nonfiction magazines. 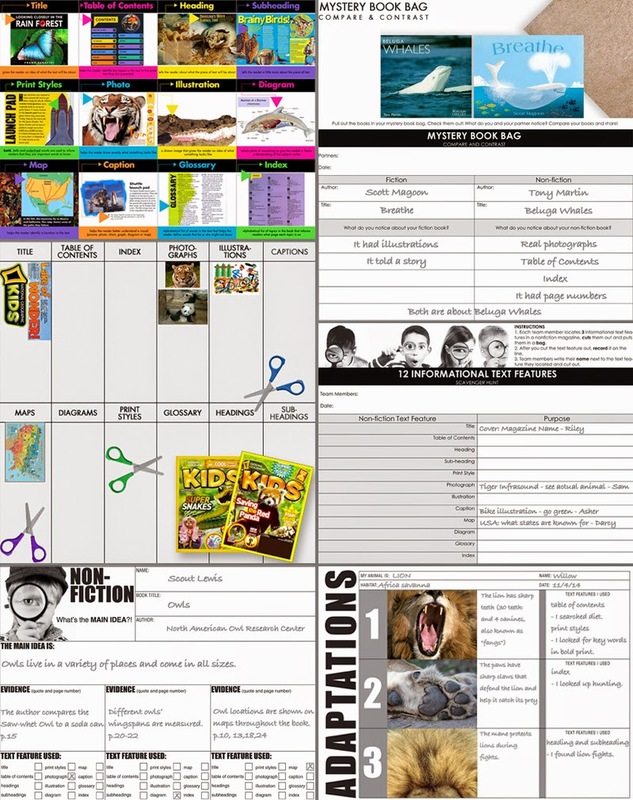 Once images are gathered in ziploc bags, students paste them on butcher paper or tape them on a wall underneath the 12 informational text feature categories. Students use 3 different text features to find the main idea of 1 nonfiction book. After learning about informational text features, I had the students research an animal and create a digital poster of 3 adaptations of their animal. They recorded all 3 adaptations on their organizer and the text features that helped them with their research.